Your home can never be completed without a kitchen therefore nothing is more important than a well-furnished, well-equipped and systematically designed kitchen where you cook delicious meals for your family everyday. 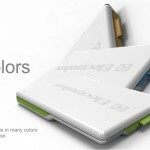 Enex has come up with their “Hue and Funny” Kitchen, which they have claimed to be the future of kitchen design. 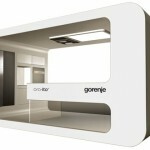 It proposes a new paradigm for modern kitchen where relaxing space to rest and a joyous space of entertainment can be. 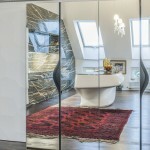 It is a new design with the idea that a sink does not always have to be rectangular. Coming from the beautiful curve of a seated woman, it minimizes the bottom cabinet to design a countertop that seems to float in the air. 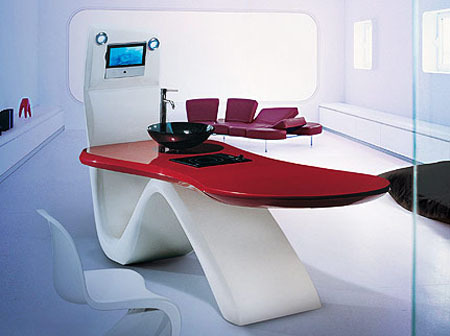 Built-in entertainment equipment, including TV and audio, create a future-oriented multi-functional kitchen which you might have seen on a Sci-Fi movie. 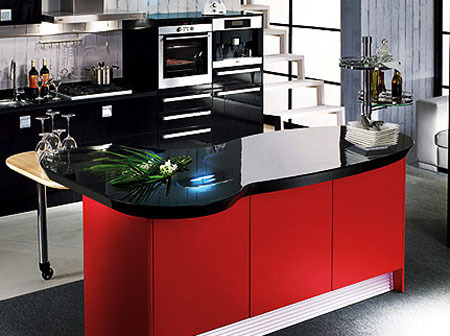 This curvilinear design breaks away from the conventional concept of design and creates a liberal island kitchen that has no restrictions in space and moving. It creates a fun entertainment space for the whole family. 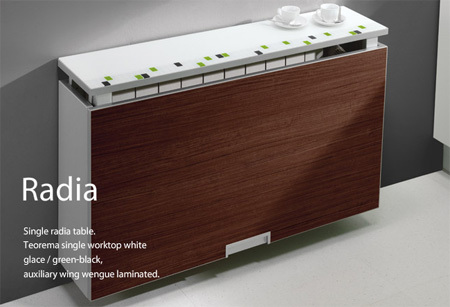 It does not distinguish front from rear and allows use of countertop and cabinetry from both directions. 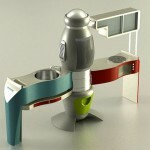 The top cabinetry rotates 360°. 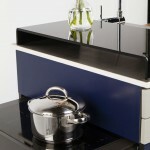 You may even customize the island to eliminate the top cabinetry to fit your needs. 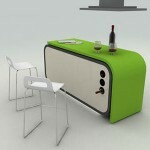 Tagged as conventional concept, curvilinear design, enex, entertainment space, functional kitchen, new paradigm. Hi. 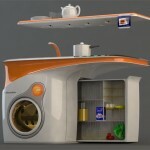 The kitchen rooms are very nice and looking cool. 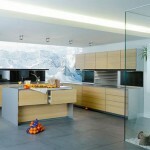 I really like the styles of kitchen rooms.